New York DEA Diversion & Opioid Defense - Oberheiden, P.C. The declared war against opioids (and doctors) has arrived in New York. Almost no day goes by without DEA and FBI agents executing search warrants against physician practices, businesses, and pharmacies somewhere in New York. Family medicine, internal medicine, and pain management doctors in the business of treating chronically sick patients are the new targets of the New York branches of the U.S. Attorney’s Office in Manhattan, Brooklyn, Staten Island, and across the State. Competent help is available. Renowned federal criminal defense attorney Dr. Nick Oberheiden has significant experience defending physicians, physician practices, and pharmacies against accusations of criminal violations of the Controlled Substances Act and related regulations. What makes Nick different is his track record of successfully resolving opioid investigations for his physician and pharmacy clients across the United States, including here in New York. Pharmacy Representations: Nick has successfully represented dozens and dozens of pharmacies in investigations involving drug diversion issues, Controlled Substances Act violations, kickbacks, opioids, MSOs, as well as administrative and criminal search warrants. To this date, not a single one of the pharmacies or pharmacy owners that hired attorney Nick Oberheiden early in the case has been charged with a crime or a wrongdoing. Call Nick Today at 866-Hire-Nick and Find Out How He Can Help You! All consultations with Nick are free of charge and 100% confidential. You don’t need to be worried that your concerns or information will be shared or disclosed in any way. Nick does not use secretaries and each caller will be helped directly by Nick, not by some junior lawyer or paralegal. It does not happen often in the practice of federal law that the Attorney General of the United States publicly states what can easily be interpreted as a declaration of war on anyone regularly prescribing or filling opioids for chronic pain patients. Most recently, top Department of Justice officials did just that when they announced to aggressively fight the national opioid crisis— by arresting and locking up prescribing physicians. Since, New Yorker physicians should consider themselves under federal scrutiny if they routinely prescribe controlled substances and do not satisfy certain criteria to justify such pain medications. Being on the forefront of defending doctors in New York and along the east coast, attorney Dr. Nick Oberheiden has been hired by physicians and pharmacies that had to experience a raid of their office, or received threatening correspondence from insurance companies, the DEA, or the U.S. Attorney’s Office. Opioid compliance is possible. Nick and his team have assisted numerous physician offices and pharmacies in an effort to avoid pending indictments by introducing rigorous but proven protocols and policies to ease the government’s concerns and to stop the desire to strip our clients off their DEA privileges or suspend their license to practice medicine. While the list of remedies varies, a key focus is to eliminate drug diversion, to better monitor patients’ compliance, and to more persuasively justify (or re-evaluate) the application of Schedules II or I in each case. What Are Potential Penalties for Opioid Prescribers in New York? Adjusting your prescription standards to the expectations of law enforcement is without alternative. The consequences of non-compliance are severe. In cases spanning federal districts across the country, dozens of physicians have been indicted and formally charged with felony offenses for deviating from the accepted standards of medicine when it comes to authorizing controlled pain medications. The two main categories of criminal charges in the context of opioid offenses are violations of the Controlled Substances Act and general health care fraud. In addition to these more classic health care fraud charges, New York physicians can also be charged with tax fraud, another federal felony, if the physicians, for example, collected cash payments from their patients and did not fully report the cash amounts in their tax returns as income. In almost every search warrant involving opioid allegations, law enforcement personnel will seize the defendant’s tax documents and filings to prove a tax fraud. But New York prosecutors have gone even a step further! In more extreme cases, where a patient under the care of a physician had died of an overdose, New York prosecutors have begun to charge such physician defendants with homicide. While such charge may sound absurd, the reality is that about 90 people die in the U.S. every day of a drug related overdose, many of which while under the influence of pain medications. Each of these statutes constitutes a felony, which means any guilty plea or conviction at trial would mean the end of your professional career, the loss of your license, and a substantial likelihood of imprisonment. Don’t let this happen to you! If you have concerns or are under investigations for opioid violations, don’t hesitate. Help is available. We have demonstrated success and we know how to defend physicians and pharmacies—because that’s what we do for a living. Get prominent DEA defense attorney Dr. Nick Oberheiden on your team and let’s make sure your license and your livelihood stay protected. The government won’t give you a second chance, so choose your trusted lawyers wisely. How Do I Know If I Am Under DEA Investigation in New York? There are several ways to find out that you are under DEA investigation in New York. The least desirable way is to experience federal agents come to your office with a search warrant to search and seize evidence of alleged crimes such as patient files, financial records, and tax returns. Although this sledgehammer approach is becoming more common in New York, traditional white-collar investigations often begin with a DEA patient record subpoena or a grand jury subpoena asking for various documents relevant to your pain management practice. If you received a government subpoena, are going through a commercial insurance audit with respect to pain patients, or were served a target letter, you should immediately consult with an experienced attorney like Nick Oberheiden at 866-Hire-Nick to discuss a defense strategy to end the investigation before it turns into a real criminal matter. What Should I Do If a New York DEA Agent Wants to Interview Me? The number one mistake to avoid when DEA agents suddenly show up with a request to ask you “just a few questions” is to be interviewed without an experienced attorney being present. Even though you may think you have not done anything wrong and sitting down for an interview is not a big deal, think again. Answering questions of a federal agent is like testifying in federal court. If you hold back information, you may commit a federal felony. If you lie, you may commit a federal felony. If you misrepresent by describing matters in your favor, you may commit a federal felony. Just like you wouldn’t go unprepared into a federal courthouse, don’t speak to DEA agents without proper instructions and preparation by counsel. You will never be able to undo the words you speak to the agents in that moment of surprise. What you should do instead is to truthfully identify yourself and to request the agent’s contact information for your attorney to discuss the reason for the interview and your potential exposure first. New York and other states along the east coast currently experience an unprecedented number of DEA search warrants against doctors and pharmacies. If you are going through this, please call Nick Oberheiden right away. What you need to understand that the basis of a search warrant is that a federal magistrate judge saw probable cause that you committed a crime as a prerequisite to authorize a search and seizure warrant. In other words, you are now in the middle of a criminal case and we need to fight for your license, reputation, and your freedom. We won’t get second chances and every move and each step of our defense strategy must work. It’s time for attorneys that know how the DEA is trying to build a criminal case and what to do against it. Nick is known for his proactive approach and Nick does not sit back and defends a case, but tries to control the case. Nick instantly engages into a dialogue with his clients, with the government agents, and with the supervising prosecutors to gather everyone’s perspective and to discover weaknesses and strengths of the case—and that method has worked plenty before! Is it too Late to Change My Prescription Policies? No. It is never too late to change your office policies including your pain medication protocols. However, when you do, you should be guided by experienced counsel rather than making drastic changes that may not boost your compliance to the right level. For example, firing all cash paying patients may sound like the right thing to do, but you also have ethical obligations to your patients to ensure continuation of care. The key is not to panic, but to install smart and effective protocols that actually make a compliance difference. Feel the need for new protocols and patient management? Call Nick today and get his guidance on how to do it right without jeopardizing patient care. 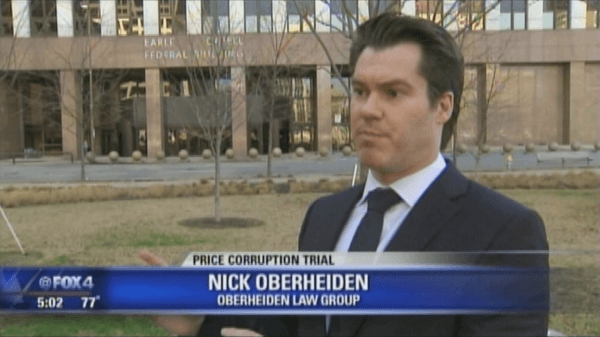 What Is Nick Oberheiden's Experience in Health Care Fraud, DEA, and Opioid Cases? New York federal defense attorney Dr. Nick Oberheiden and his team have handled hundreds of civil and criminal health care fraud investigations—with proven results. Nick has avoided criminal charges in DEA diversion investigations for pharmacies and physicians; Nick obtained no civil and no criminal liability outcomes in Controlled Substances Act grand jury investigations; and Nick has advised a plethora of prescribers how not to get on the government’s radar by implementing easy but powerful protocols designed to shield against opioid investigations. How Can I Hire or Switch to Nick? The easiest part of your case is to contact Nick. If you call 866-Hire-Nick, your call will go straight to Nick. He will take the time to listen to you and provide you with a free assessment. If you want to move forward with the representation, Nick will send you an email with all next steps. Super easy! When you hire federal criminal defense and DEA defense attorney Nick Oberheiden, you don’t just hire anyone. You hire a well-respected, experienced attorney, an attorney that clients and prosecutors alike trust, with a rich history of health care fraud defense cases. If you are concerned about your opioid prescriptions or want to hear Nick’s assessment on your case, call him now at 866-Hire-Nick or contact him online. Consultations with Nick are free and 100% confidential.